(W) Brian Azzarello (A) Eduardo Risso (CA) Dave Johnson. 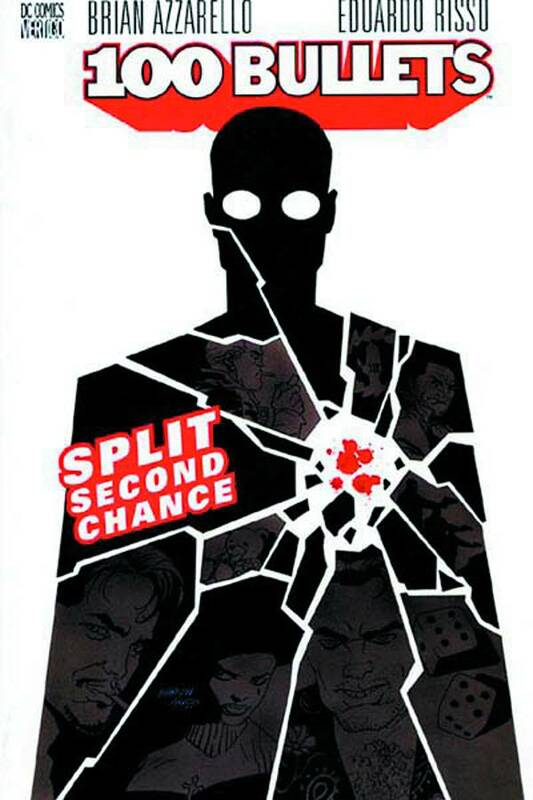 Written by Brian Azzarello; Art by Eduardo Risso, and Dave Johnson The second trade paperback in the 100 BULLETS line, this book resumes the tale of the mysterious Agent Graves who offers ordinary wronged people the opportunity to kill with impunity using 100 bullets that he supplies them with. But even as Agent Graves continues to approach and manipulate his "clients," questions about the ghoulish agent start to arise as people from his past begin to appear, revealing interesting information about their former acquaintance. In the end though, these facts only lead to different questions as the mystery behind Agent Graves' motives deepens..